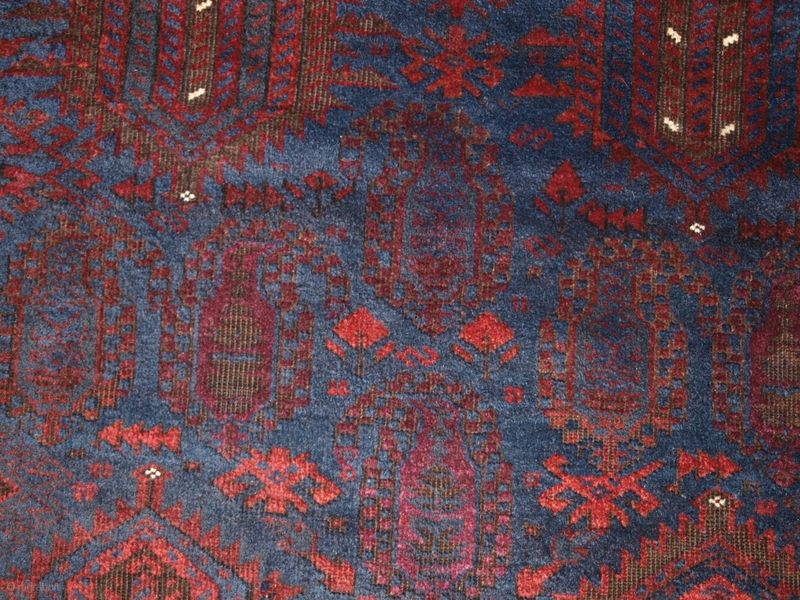 Antique Afghan Timuri Baluch rug from Western Afghanistan. www.knightsantiques.co.uk Size: 8ft 0in x 4ft 11in (245 x 151cm). 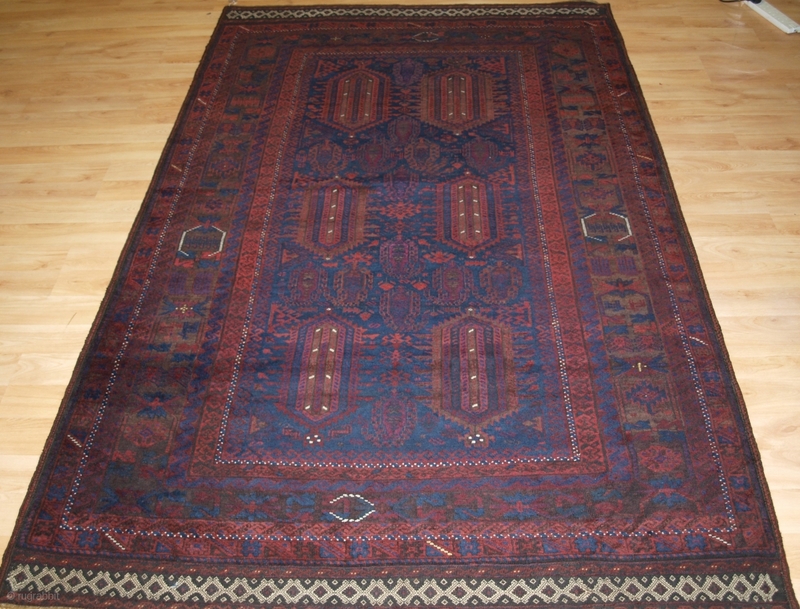 Circa 1880. a good Timuri Baluch rug from Western Afghanistan, with very dark indigo blue field and dark almost aubergine madder red. The are a small number of highlights in ivory and yellow. The dark charcoal brown is corroded throughout the rug. The rug is possibly by the Yaqoub-Khani, based on design. Note the well drawn boteh within the field design. 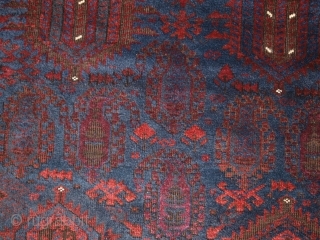 The ends are of particular note with decorative weft work kilim ends. The side finishes are also typical of the Timuri. This rug needs good light to be seen at its best. The rug is in excellent condition with slight even wear and good pile. The rug is suitable for normal domestic use. The rug has been hand washed and is ready for use or display. Stock Number: r-1774.